Short on time? 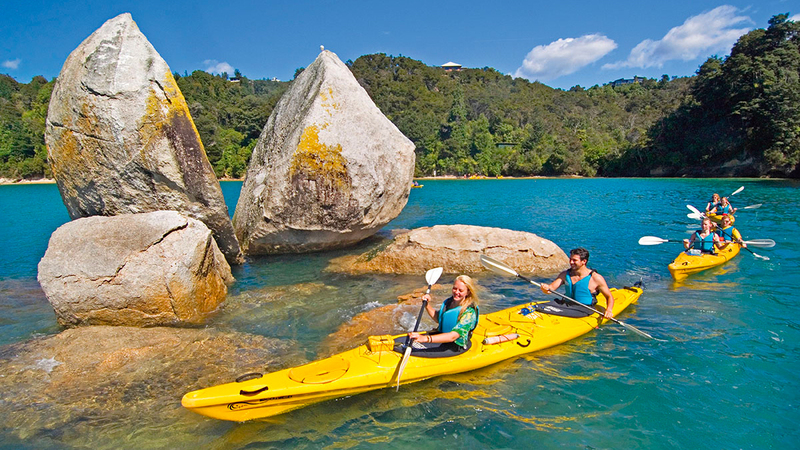 Don’t worry, we selected for you the best half-day kayak trips around New Zealand. 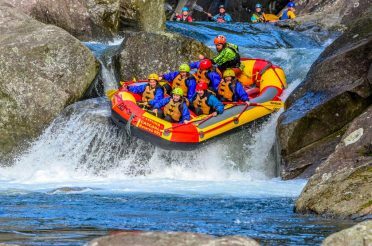 All the tours listed here are fully guided and provide all the safety gear and kayak equipment you will need. Not to mention plenty of stunning landscapes. Although crystal clear turquoise waters, long sandy beaches, secluded coves and perfectly calm seas are the things more likely to attract you to Abel Tasman National Park in the first place, it’s hard to argue against Split Apple Rock being the most photo-worthy part of it. A huge boulder that looks like a giant lumberjack has split cleanly with an axe, Split Apple Rock sits just offshore from the northern point of Towers Bay, barely a mile from Kaiteriteri. There are many ways you can see Split Apple Rock, but we’ve gone for the half-day Split Apple Classic from Kaiteriteri Kayak, which starts at 8:30 a.m. and returns to Kaiteriteri before noon. It gives you plenty of time to swim, snack, or snap (with a photo) the famous rock after a leisurely paddle up (easy for first-timers), and it also takes you around Ngaio Island on the way back, giving you a change of scenery and a chance to see a fair bit more than just the eponymous rock. 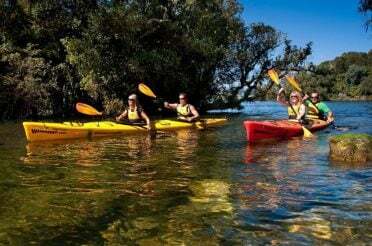 Given the departure times, you can also fit this kayak trip easily between breakfast and lunch (they provide tea, coffee, hot chocolate and biscuits during the morning tea break), leaving plenty of time in the afternoon for other plans, relaxing, or moving onto your next destination. This trip runs all through the year. 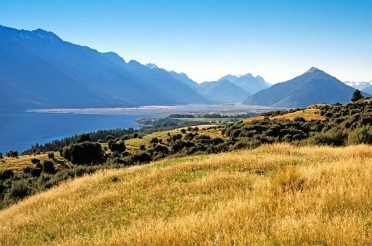 The Marlborough Sounds are an awesome, untouched area of natural beauty, but it can be pretty hard to make your own way around if you don’t know the area. Luckily, local tour operators like Sara and Dave at Marlborough Sounds Adventure Company can take you straight to the good stuff. Departing straight from peaceful Picton (where the ferry from/to Wellington, connecting New Zealand’s North and South islands, is located), their half-day guided sea kayak trip will take you along the densely bush-laden shoreline of the Grove Arm, stopping at several sandy beaches and giving you a glimpse of some beautiful holiday homes tucked away in the trees. The morning tour departs from Picton at 9am and the afternoon tour at 12:30pm, stopping for a cuppa along the way, and you can arrange to have them drop you directly at the ferry terminal afterwards if you like. This tour runs from October to April and has an age restriction of 14 years and above. 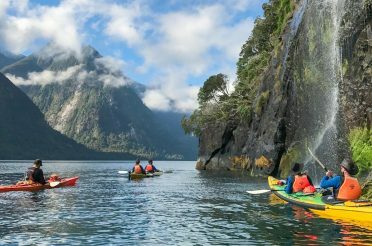 If you’re looking for a half-day kayak trip for young kids and families, get in touch directly with Marlborough Sounds Adventure Company and they should be able to organise something. Perhaps best-known as the filming location for the dwarves’ barrel escape scene from Sir Peter Jackson’s The Hobbit, or simply as New Zealand’s most beautiful river, depending who you ask, the Pelorus river is also a fantastic place for a half-day kayak trip at the top of New Zealand’s South Island. 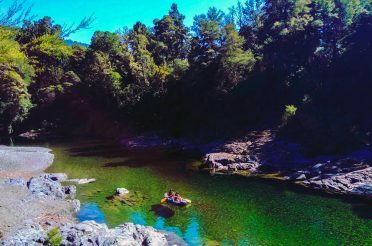 With the aptly named Hobbit Kayak Tour from Pelorus Eco Adventures in Havelock, everything you need is included: simply rock up to Bluemoon Lodge in Havelock (at 9am or 2pm every day), get kitted up in all the gear you need, take a minibus ride to their private launching location on the Pelorus, and enjoy over 7km of easy-going, guided paddling past The Hobbit filming locations, stunning rocky landscapes and a few superb swimming holes if you feel like jumping in. 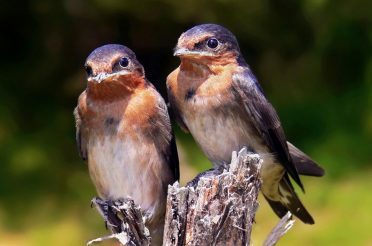 The guides on this tour are particularly passionate and knowledgeable, not only about kayaking but other aspects of the river, such as its rich gold-mining and timber history and unique flora and fauna – including New Zealand’s only native land mammal, an endangered species of bat you can see at Pelorus Bridge. If you’re taking the morning ferry from Wellington, you can easily connect from Picton to Havelock in time for the afternoon tour. Ages 4 and up. 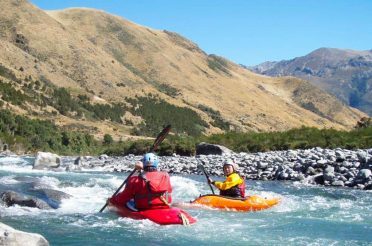 While pushing the limits on what we determine a ‘half-day kayak trip in New Zealand’, we couldn’t exclude River Rats’ 6-hour option because it offers something a bit different. Starting from Rotorua at 3pm (they can collect you straight from your Rotorua accommodation), you’ll be driven to the launching spot on unspoilt Lake Rotoiti. 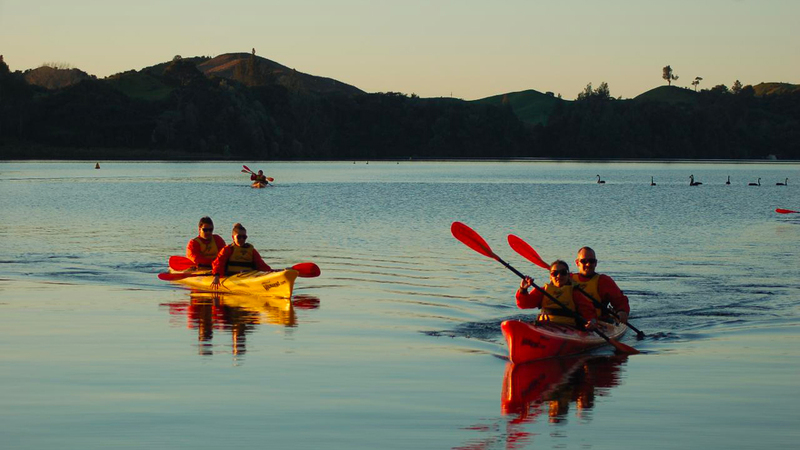 Paddle across this peaceful lake to Manupirua Springs, a location only accessible by boat, where you get to enjoy a selection of natural-spring hot pools (ranging from searingly hot to mild) as the sunlight fades over the lake. 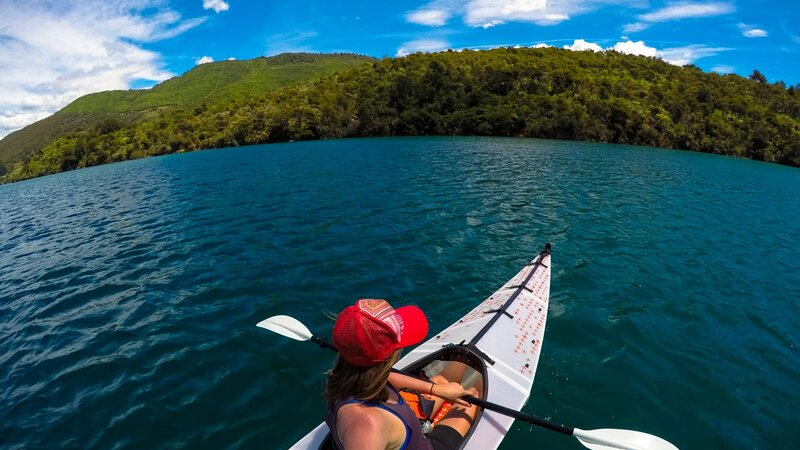 After the relaxing soak – plus a quality kiwi BBQ dinner, prepared by your guide – you get to enjoy a sunset paddle on Lake Rotoiti to the mystical glow worm caves, before returning to shore and back to your accommodation before 10pm. The total paddling time is only about an hour each way, with lounging in hot pools, eating dinner and travelling to/from Rotorua taking up the rest of the time. 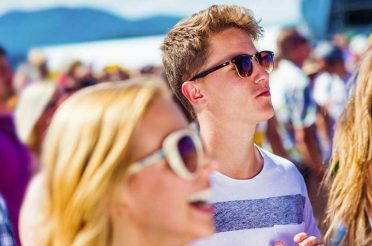 Lake Taupo can be an intimidating splodge on the map for any tourist to New Zealand, but don’t let its size scare you away. 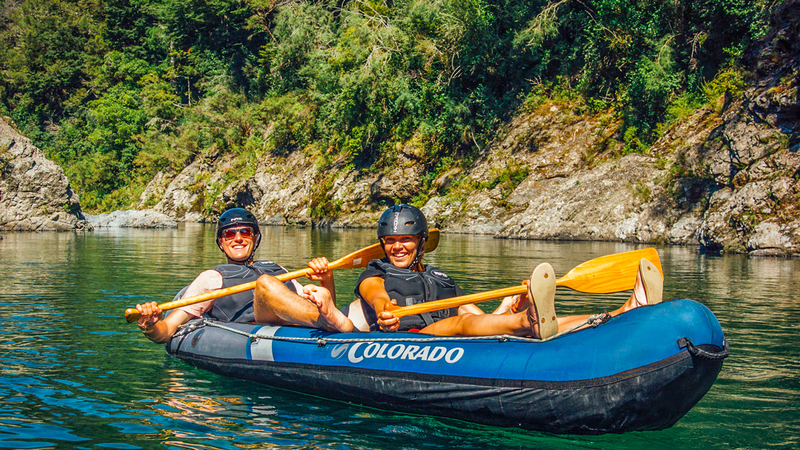 The half-day kayak trip offered by Taupo Kayaking Adventures will never put you out of your comfort zone, no matter what your level of kayaking experience is. That said, it certainly doesn’t compromise on sights. Far from it. 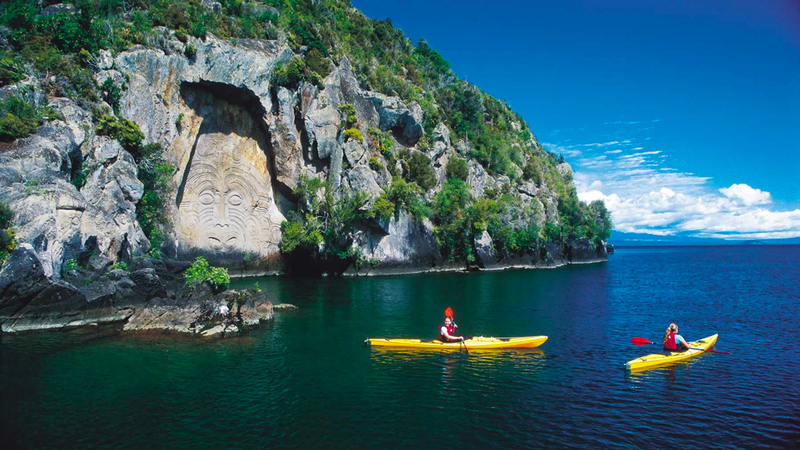 Beginning in calm, sheltered Acacia Bay just 5 minutes from Taupo township, you’ll paddle below native trees and sheer cliffs to secluded Mine Bay, the site of Taupo’s famous Māori rock carvings. One major advantage of this kayak trip over others is that the guides provide a comprehensive explanation of the cultural significance of these carvings, and the ancestral history of the surrounding region. After a refreshment break, you can swim in the calm, clear water here (depending on the time of year, as this tour runs throughout winter as well as summer) before cruising back to Acacia Bay. Kids under 12 can join the kayak trip, but only if accompanied by an adult.